Online registration is now closed! See you tomorrow at 9:00 am to register day of and at 11:00 am for the plunge! 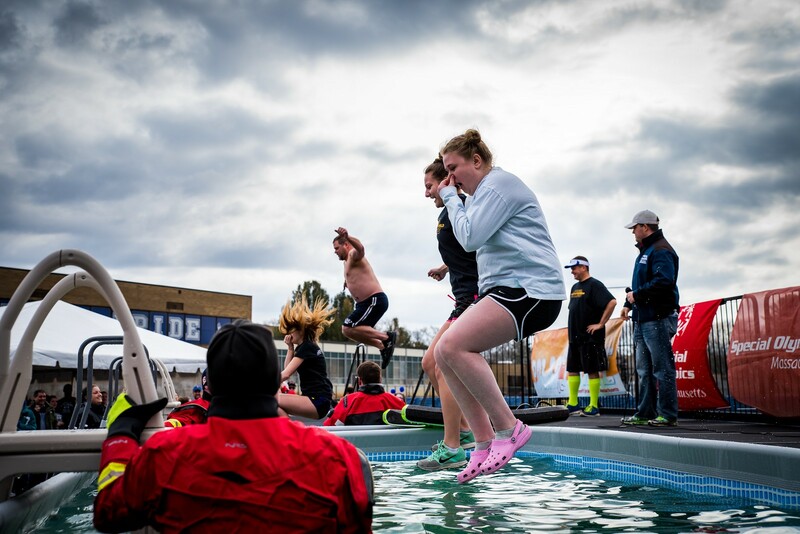 Do the words Polar Plunge make the hairs on the back of you neck stick up? Have you been nervously intrigued by the idea of going to the beach in the middle of the winter? Can you remember hovering over the register button in years past only to chicken out? Well this is the year that you should TAKE THE PLUNGE! Since 1968 Special Olympics has provided athletic opportunities for individuals with intellectual disabilities. In celebrating the past 50 years, our goal is to reach 2,418 more athletes in 2019 and provide the opportunity to showcase their abilities on and off the field of play. The best part is that you can help! You can spread Special Olympics to all corners of Massachusetts. You can say “I was there when Special Olympics turned 50”. You can join the team. You can make inclusion a reality in your community. Yes! I want to take the Plunge!